Aviator Capital has made its first foray into the Brisbane market with the purchase of an Ashgrove commercial complex for $33.5 million – the company’s largest property acquisition to date. The 240 Waterworks Road property comprises a mix of commercial and medical tenancies, including a 45% representation of ASX-listed tenants and 69% representation of medical occupiers. 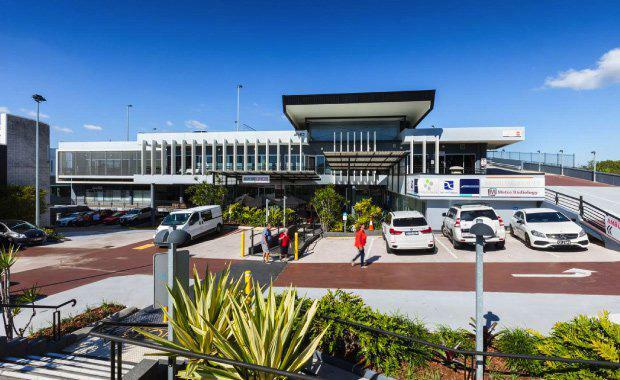 Situated on a 5,648sqm site, the centre is anchored by tenants including Good Life Health Clubs, Metro Radiology, Ashgrove Family Practice, Ashgrove Serviced Offices, Bank of Queensland and Brazilian Beauty. The property, which also includes a 230-vehicle car park, was sold with a WALE of 5.6 years. CBRE’s Peter Court and Mike Walsh negotiated the sale on behalf of Trident Corporation via a strongly contested Expressions of Interest sale campaign. Mr Walsh said the property’s attractive tenancy profile underpinned strong buyer interest from a combination of off-shore, interstate and local groups, predominantly distribution focused syndication groups. “This strong sale result, which translated to a yield of 7.38%, reinforces the value the market currently places on income security and long tenure,” Mr Walsh said. “This deal marks the largest commercial deal by capital value to transact in Ashgrove, which further highlights the investment appetite that exists for income producing assets in high growth locations,” Mr Court said. The property, which benefits from a central position in an affluent population catchment, has undergone significant capex works necessitated for the power requirements of Metro Radiology. “The end result is testament to the outstanding repositioning of the asset by Trident via its proactive capex and re-leasing program, which had a concerted focus on securing health and medical based tenants. This ultimately improved the WALE to more than 5.6 years at time of sale,” Mr Walsh said.